Microsoft is giving small businesses a new way to hold meetings online with the launch of a free Skype Meetings product that's aimed at providing professional communication tools for free. Skype Meetings is free to use, and people can launch meetings for up to 10 people during their first 60 days of using it. After that, they're limited to only hosting meetings for three or fewer people. Those meetings can take advantage of a bunch of features, including the option to bring in participants using a hyperlink and present a PowerPoint slide deck live. The new service is something of a gateway drug to try and get people hooked on Skype for Business. That's why Microsoft imposed its user limit restrictions -- super-small businesses can use Skype Meetings without paying, and growing companies are encouraged to buy an Office 365 subscription to hold big meetings. Microsoft is facing tight competition in that arena, with Google pushing its Hangouts chat and calling software, and Slack quickly developing calling capabilities for its popular chat app. 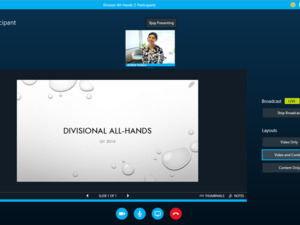 Skype Meetings will give users a professional space to coordinate their work with one another and present to people outside their business without having to pay for Office 365. The ability to upload a PowerPoint presentation to a meeting and do things like wave over it with a virtual laser pointer and draw on it with digital ink ought to be of particular interest for people who do a lot of online presentations. 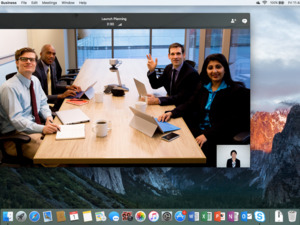 Microsoft says that users can join a meeting from any device that has a microphone, camera, speaker and web browser. It's not clear if this product is only browser-based, or if it will also work with client applications like Skype or Skype for Business on smartphones and tablets. 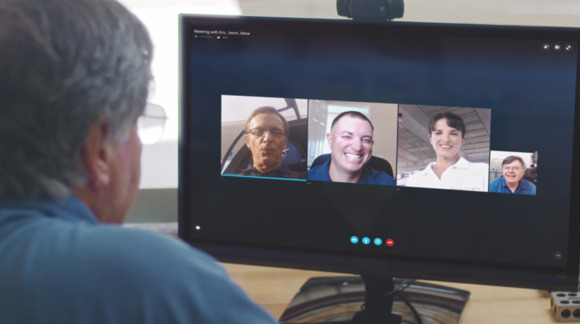 Skype Meetings will give users a taste of Skype for Business's more robust functionality, which includes the ability to host meetings with up to 250 participants and functionality that lets users instant message their coworkers through the system all day long.